Flight time 11 hrs 45 mins from the UK. 21 hrs from NYC. Often described as the jewel of the Indian Ocean, with a glistening backdrop of pristine turquoise water framed by hundreds of miles of soft sand, Mauritius is the perfect luxury beach destination whether you are after secluded romance or just want to experience a slice of tropical island perfection with the family. Get ready to soak up some rays, and explore all this gorgeous island has to offer whilst staying at the divine Four Seasons Resort. We’ll pick you up from the island’s Plaisance Airport and whisk you through lush foliage past cascading waterfalls to arrive at the beach-side retreat; The Four Seasons Resort, your crash-pad for the next seven nights. This sublime resort is nestled amidst lush mountains and fronted by the rolling waves of the Indian Ocean. 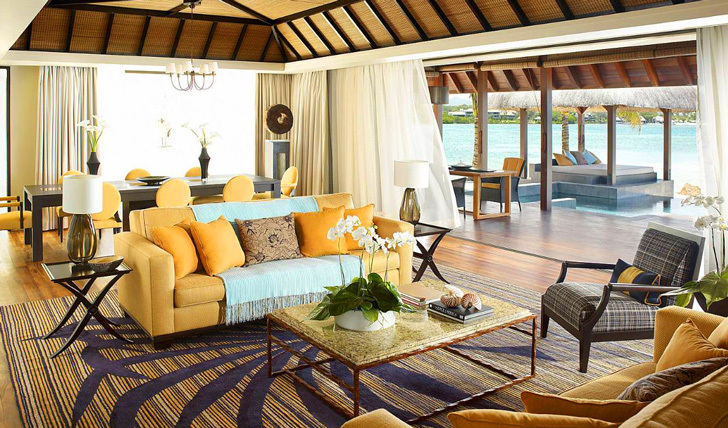 Choose between a spacious room or a luxurious suite with impressive views of mountains, mangroves and the azure-coloured beachfront. 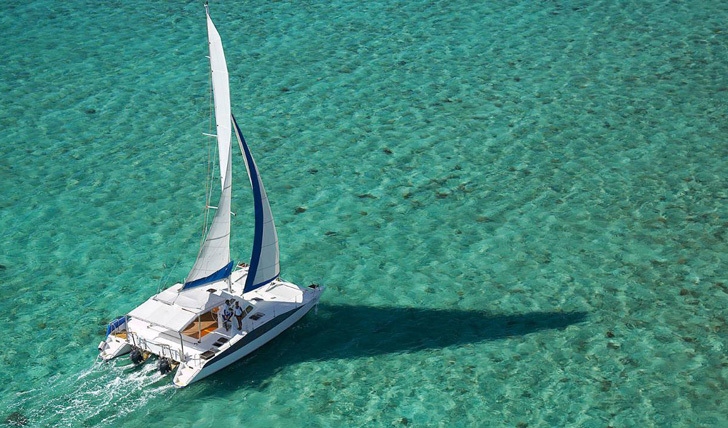 After a leisurely breakfast, hit the beach and climb aboard your catamaran to explore the crystal waters of the east coast of Mauritius. Spend the day cruising past unadulterated coastlines and hidden beaches whilst keeping your eyes on the deep blue expanse to catch a glimpse of the local pod of dolphins who call these tropical waters home. Dive in and join in the fun with a spot of snorkelling in the calm waters and meet the colourful inhabitants of this underwater world up close and personal. Get fully initiated into the laid-back luxury of island life by indulging in a rejuvenating afternoon at the Four Seasons Spa. Looking out over the vast expanse of the Indian Ocean the spa is a therapeutic haven where an infusion of Afro-Indian cultures combines to revitalize you through a blend of therapies. We love the African Rainforest treatments where you can unwind afterwards in the mangrove-wood Vichy rain shower beds, private steam and sauna room. Fully relaxed and pampered, spend your evening in the vibrant O-Bar, an open-air lounge that’s set aside one of the island’s largest lagoons. Choose yourself a freshly made sundowner and gaze at the stars before heading to the Acqua Pazza restaurant for delectable Italian fare and a mouth-watering wine list.